Megumi is a highly talented graphic artist, designer and illustrator with a long-standing interest in papercrafts. At the 1985 All Japan Handcraft Art Society’s exhibition, held in the Tokyo Art Museum, she received the society’s top debut award for developing her own unique style of paper doll-making. In January 1986, Megumi married Steve in the British Embassy, Tokyo and they have been together for the last twenty-seven years. The Biddles celebrate their silver (twenty-fifth) marriage anniversary in 2011. 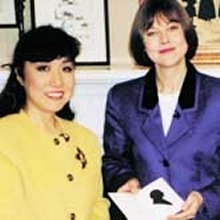 Upon arrival in the United Kingdom, in March 1986, Megumi began making her career in the Corporate Hospitality (as a silhouette artist), Media (as a presenter on television and films) and Publishing (as an author and illustrator) worlds. 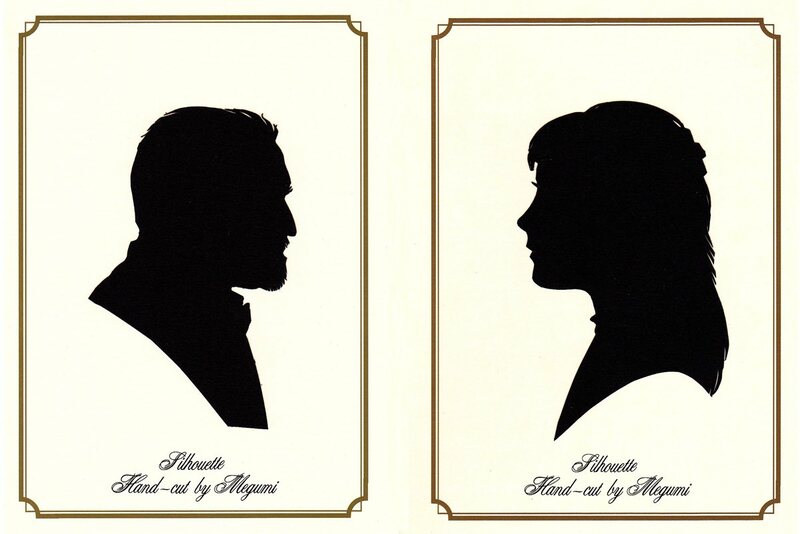 Megumi is also a highly skilled silhouette artist and has cut out the profiles of many well-known British television celebrities, International film stars, members of the British Royal Family and heads of Government. She has many stories to tell of the people she has met and of her experiences in entertaining them! She is also a member of Equity, The Nippon Origami Association and The Japan Society. Megumi has created silhouettes at a wide variety of functions, including product launches, corporate dinners, society balls and trade shows. She has taken her artistry across the world, having performed in many European countries, plus Australia, the United States and Japan. Megumi’s exciting and visual performance can be presented with Japanese, French or English ‘patter’ hence making Silhouettes by Megumi suitable for an international audience. Megumi’s exquisite blend of Creativity and Dexterity has taken her too many venues including The Ritz, Dorchester, Grosvenor House, Hilton, Hyatt, Inn on the Park, Intercontinental (Berlin), Roof Gardens, Savoy, Alexandra Palace, Spencer House, Olympia. 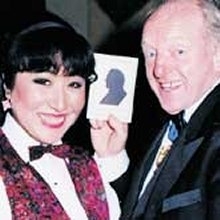 Besides performing ‘Paper Magic’ Megumi has appeared on many prestigious television programmes such as: Blue Peter, Corners, Play School, How 2, The Generation Game (and Christmas specials), Hand in Hand, Collectors’ Lot, Origami inserts for BBC Daytime and has presented three series each of twenty-six programmes titled Origami for the children’s channel and six programmes titled fold-a-saurus for Channel 4. She was the origami consultant on the recent Hallmark production of Dinotopia. Megumi combines her talents to design items for television, feature films and major advertising campaigns. She has produced many highly successful craft books both for children and adults, including amazing origami, step-by-step origami, underwater origami, origami for harmony and hapiness, making flowers, paper creations, Paper:Fold It, and beautifully illustrated by Megumi, a picture book, telling the Japanese folk talk The Crance’s Gift. One of her bestselling publications, which was on the New York Times book list for ten weeks, is ORIGAMI INSPIRED BY JAPANESE PRINTS, produced by the METROPOLITAN MUSEUM OF ART, NEW YORK and published by Viking in the USA, The British Museum Publications in the UK and Gautier-Languereau in France. Her latest publication for the Metropolitan Museum of Art/Viking is Beginner’s Origami, Birds, Beasts, Bugs & Butterflies. Most recently she has written Peble Pets published by David & Charles. Megumi has made inroads into the international marketing scene and her publications are available worldwide. 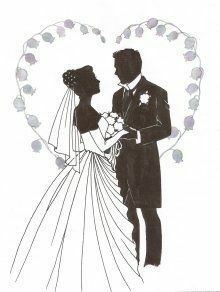 A wedding is a very special event for the bride and groom, their family and good friends. Make the occasion even more memorable by adding the very personal touch that comes from the work of loving hands. It’s not the spectacular but the small details, often handmade, which give a wedding its atmosphere and style. Add a touch of individuality to the time honoured traditions – the invitations to be sent out, orders of service, and thank you notes by having your marriage stationery display a handcrafted silhouette. Or, if you are looking for you and your guests to receive a personalised, everlasting keepsake of your special day, it’s difficult to imagine a more exquisite blend of creativity, deftness and enchantment than Megumi’s silhouette artistry as she mingles with your guests creating silhouettes of them, and in the process making your wedding a perfect day for everyone to treasure always. 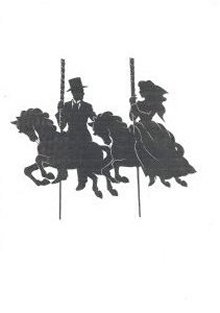 During a three hour period she is able to cut between twenty to twenty-five silhouettes per an hour. 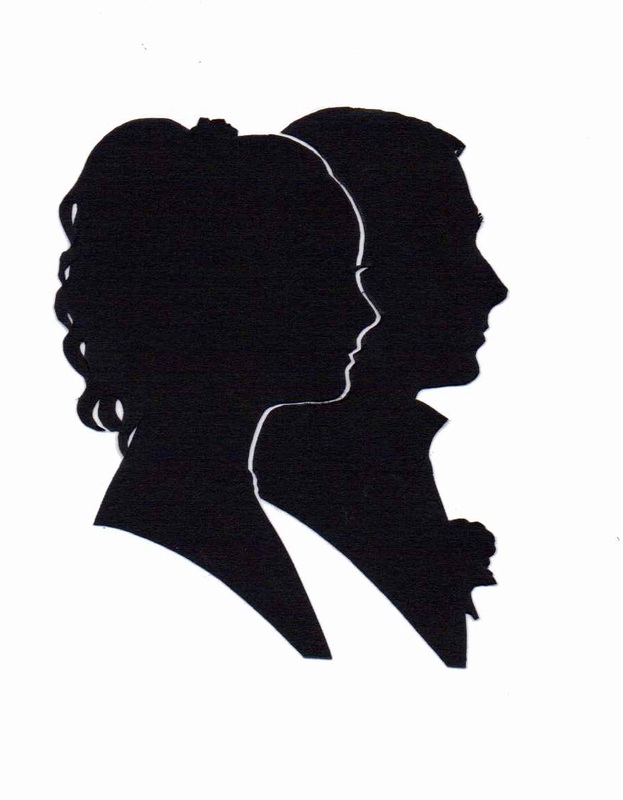 As a unique souvenir for the Bride and Groom, Megumi is able to cut an A4 size silhouette of them in full marriage attire, so when the wedding is long past, they will continue to have a reminder of their fabulous day. The party went very well thank you. I have to say that Megumi was fantastic. She worked really hard and was friendly and professional throughout and we would not hesitate to use her again. It went really well thank you! I’ve had nothing but positive feedback about the entertainers so thank you so much for your help with this. Saturday was great, Tariq and Megumi were brilliant, true professionals and the guests loved them. Please send our thanks to them both.